With a few exceptions, IRA distributions can't be put back. 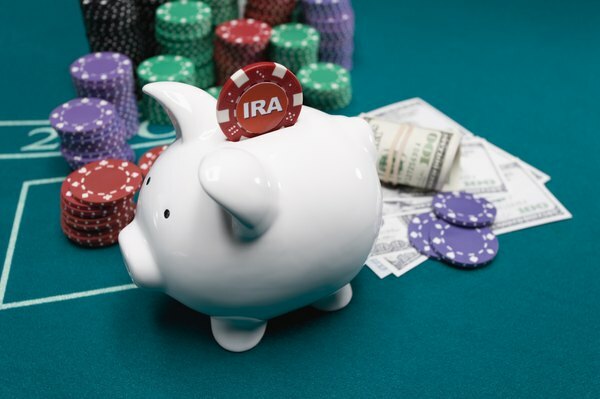 Because of the strict Internal Revenue Service rules, you generally cannot put money back into your individual retirement account if it's been more than 60 days since you've received the distribution, with a few specific exceptions. If you're under that time limit, you can redeposit or roll over the funds. If it's been longer, you may be prohibited, especially if you're not currently working. Either way, be prepared for potential tax consequences of taking money out, including a potential penalty if you're under age 59 ½. If you took a distribution in order to purchase a first home, and the sale or building of the home is delayed or canceled, you can redeposit the funds as late as 120 days after receiving the distribution. This allows you to avoid tax on the distribution, and the IRS classifies this transaction as a rollover rather than a distribution, whether the proceeds are put back into the same account or into a new IRA account. If you're a military reservist called to active duty after September 11, 2001, the IRS allows you to take IRA distributions without the 10-percent early withdrawal penalty during the time you are on active duty. You are permitted to pay back the full amount of the distribution, even if it puts you over the annual contribution limit, but reservist repayments are not deductible. Most financial institutions impose a 20-percent withholding on all non-rollover distributions. If you're able to redeposit the money or roll it into a new account during the 60-day safety window, you'll need to replace the 20 percent from your own funds if you want to roll over the full distribution. You can report the withholding on your tax return against total tax liability for the year. The amount you redeposit or roll over is not deductible as a new contribution. If you miss the 60-day window, you'll pay tax on the full amount of the distribution from a traditional IRA. Roth IRA accounts are not taxed unless you take the money out within five years of contribution. You may be subject to an additional 10-percent early withdrawal penalty if you're under age 59 ½ when you take the distribution, unless it's for specific eligible situations including. These can include buying a first home, financial emergencies, and certain educational and medical expenses. If you miss the 60-day window and want to put the cash back as a regular contribution, you're bound by the annual contribution limit. As of 2012, the limit was the lesser of $5,000 -- $6,000 if over age 50 -- or your total eligible compensation. Double those amounts for married filing jointly, as long as you and your spouse have combined compensation to cover the full amount of contribution. If you're no longer working, you won't have eligible income to contribute. Social Security and pension payments are not considered compensation for the purposes of IRA contributions.